Remodeling your bathroom requires more than just setting up sanitary ware and a bunch of pipelines. A bathroom is your place of privacy, which should have all the necessary aesthetics to make it appealing. When designing a bathroom, you need to consider the ambiance, comfort, warmth, and hygiene. Bathroom remodeling is more complex than it may seem; there are numerous factors, which you need to consider before constructing your bathroom. When you plan to remodel your existing bathroom, you would not want the new bathroom to look the same as the old one. After spending all the hard-earned money, you would want a few extra amenities. For an architect, bathroom remodeling would be a piece of cake, but amateurs would struggle when it comes to doing the job perfectly. You need to consider the type of equipment, lighting, tiles, and wall paint that best compliment your taste and mood. Here are some interesting tips that you should consider before bathroom remodeling. drains. In most cases, it would suffice regular requirements, but you can also upgrade to a 2 inch pipe without any significant costs. Two inch pipes would last longer as they don’t clog as easily as compared to one and half inch pipes. 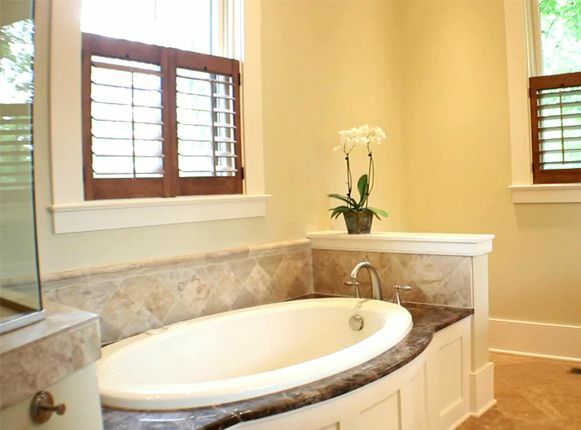 Ideally, everyone would want a Jacuzzi and a steam bath in their bathroom, but it is not always possible due to limitations of the covered area. The first objective on your agenda should be to measure the dimensions of your bathroom. This would help with shortlisting the list of essential amenities you need in your washroom. One important aspect to remodeling your bathroom is to decide on a color theme. Keeping a light tone always helps in maintaining a bright and vibrant look. At the same time, you can maintain a dark theme for an exotic feel to your bathroom that can be complimented using spotlights. When remodeling your bathroom, the tiles you choose significantly improve or degrade the overall look of your bathroom. Most people use light colored flooring as it brightens the overall look and feel of the washroom. Stains and dirt are easily visible on light colored tiles compared to dark tiles, which makes cleaning easier. Some people remodel their bathrooms without considering the space allocation or distribution. This can lead to cramped bathrooms that lack room and space. In order to be space-efficient, you need to plan the layout that offers maximum space and convenience. This step is critically important, as you do not remodel your bathroom every year. For example, fit your washbasin next to the commode; not only does this save you space but also looks aesthetically correct.Bathroom remodeling can be challenging for people without experience in construction, which is why you need all the help and guidance to redesign your bathroom that looks and feels good.